BEAUTIFUL BUILDING LOT IN CUSTOM NEIGHBORHOOD! 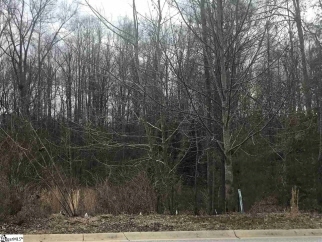 Private, wooded lot that backs up to common area and is in one of the upstate's finest communities and just waiting for you to build your custom home. The community of acadia is home to everyone, from empty nesters to young families with school-aged children, and is conveniently located with major shopping nearby, and only 10-15 minutes from downtown greenville, 5-10 minutes from greenville hospital, and 10-15 minutes from private and public schools. Amenities include 2 miles of saluda river frontage, miles of hiking and biking trails, jr. Olympic pool with poolhouse lounge, play fields, community gardens, and the list goes on and on. Come see why so many have chosen to call acadia home.